SING! 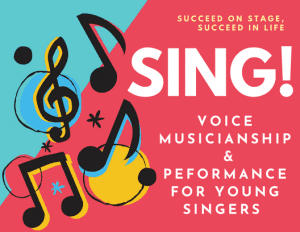 is an 8 week program that allows students to gain skill in three primary areas: voice training, musicianship and performance increase learning, engagement, retention and FUN. 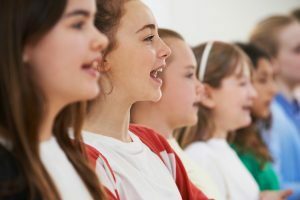 This introductory vocal class creates an experience where young singers will not only have fun learning about singing and music, but together they will become more confident performers. No class during our 8 week session will be the same so it stays fun and exciting. And the session ends with a mini performance video students can share with friends and family. 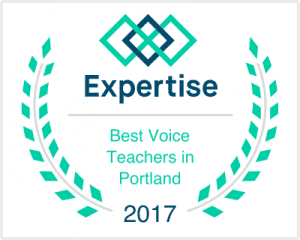 And with just 6 singers, participants get a quality learning experience, plenty of individual attention and personal support. SING! 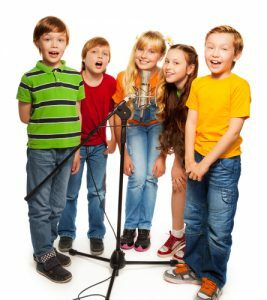 creates a well-rounded learning environment with more time to learn and apply concepts to music. When goals and activities are completed, students have a sense of pride and accomplishment. Tuition for the Sing! Vocal Musicianship and Performance program is just $125/month and is all-inclusive. There are no hidden fees for books, recitals, learning materials, flashcards, etc. Members get all of our studio member benefits. Ready to give it a try? Schedule an Initial Fit lesson. It’s just $30. It’s part studio tour, get to know you, lesson and skill assessment and next step recommendations. Students learn the 7 basic facts that they need to play music… and then learn 4 – 6 songs within 15 minutes. 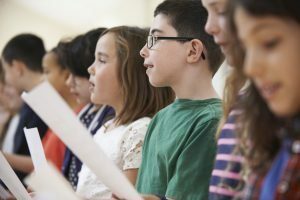 It’s very exciting and motivating for a new student to see how quickly they can learn music! Schedule your initial fit lesson today!